Short (30" inseam), Regular (32" inseam), and Long (34" inseam). The 5.11 Tactical Series TDU Ripstop Pants are the new standard and replacement of the old style BDU. Designed with today's law enforcement or security force in mind, these lightweight tactical pants have all the features officers want and need. Over a year of product development went into the design of these pants using input from police officers, special operations operators and military personnel. The result is a new industry standard in BDU style pants, with enhanced breathability, durability and storage options — including extra pockets sized for tactical use. Made of tough, polyester-cotton ripstop, 5.11 Tactical Series TDU Ripstop Pants stand up to the rigors of patrol and special operations. These pants feature a self-adjusting comfort waistband to help you bend and stretch with ease. The front pockets of the TDU Pants are strong and roomy; the large side pockets are designed with an added inside pocket containing a divider allowing each side to hold two AR mags securely. Each pocket is lined with the Backup Belt System™ loop-sided carrier, which allows the attachment of Backup Belt System™ pouches. Two rear pockets round out the storage needs of almost any duty assignment. 5.11 Tactical Series TDU Ripstop Pants utilize 65% polyester, 35% cotton ripstop material that resists tearing and abrasion. The TDU Pants are triple-stitched and bartacked in all stress areas. Constructed with genuine, locking-flange YKK® zippers and quality Prym® snaps stay zipped and snapped even under the most strenuous activities. 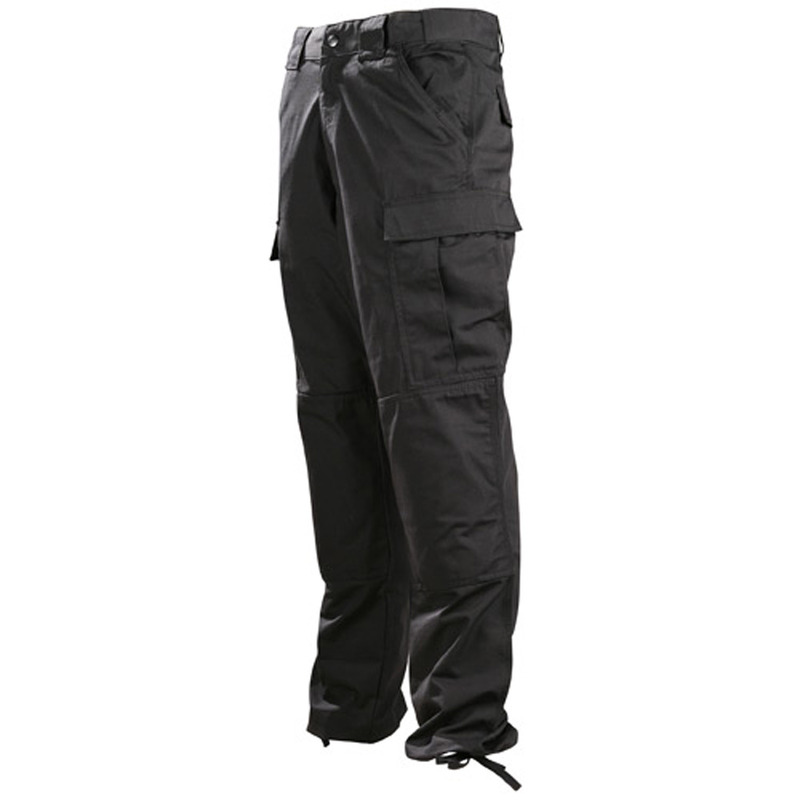 5.11 Tactical Series TDU Ripstop Pants feature a self-adjusting waistband and blousing straps.